"Baby, Come to Me" with Pattie Austin, and "Yah Mo B There" with Michael McDonald. He began his career in 1973 with the band Revelation Funk. He later played keyboards for Ray Charles. Before becoming famous in his own right, Ingram's younger brother, Phillip Ingram, hit the top of the charts as a member the '70s R&B group Switch. In 1981, Ingram was tapped by composer Quincy Jones to sing the lead on "One Hundred Ways" off Quincy's jazz album The Dude. "One Hundred Ways" earned Ingram his first Grammy Award. Ingram went on to work with other established superstars, including Donna Summer, Anita Baker, Nancy Wilson, Natalie Cole, Kenny Rogers and more. 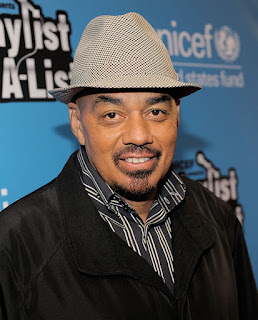 In 1984, Ingram scored three Grammy nominations for his duet with Patti Austin, "How Do You Keep the Music Playing" ; "PYT (Pretty Young Thing" , for Michael Jackson, a top 10 single which he and Quincy co-wrote, and his track "Party Animal" . In Oct. 1990, Ingram scored a No. 1 hit with the love ballad "I Don't Have the Heart" , from his It's Real album. "Somewhere Out There" , a top 10 hit in the US and the UK.